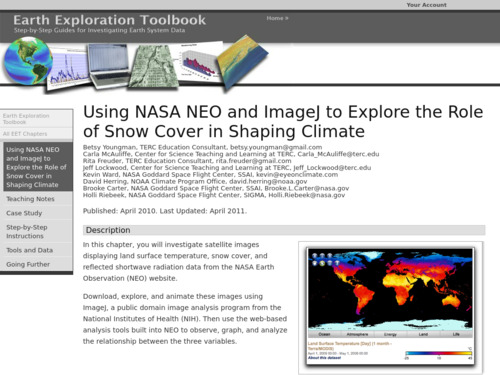 In this activity students download satellite images displaying land surface temperature, snow cover, and reflected short wave radiation data from the NASA Earth Observation (NEO) Web site. 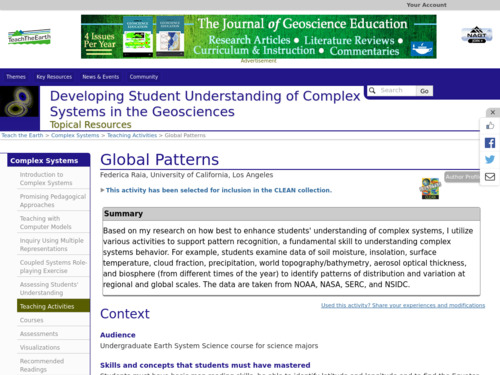 They then explore and animate these images using the free tool ImageJ and utilize the Web-based analysis tools built into NEO to observe, graph, and analyze the relationships among these three variables. 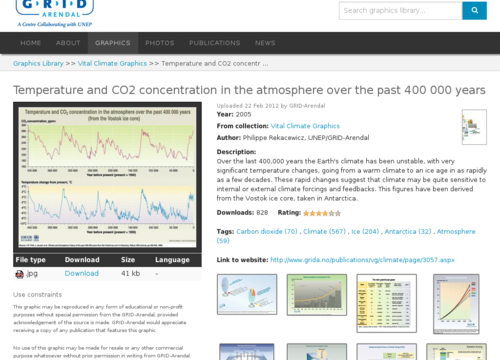 How do seasonal temperature patterns vary among different regions of the world? 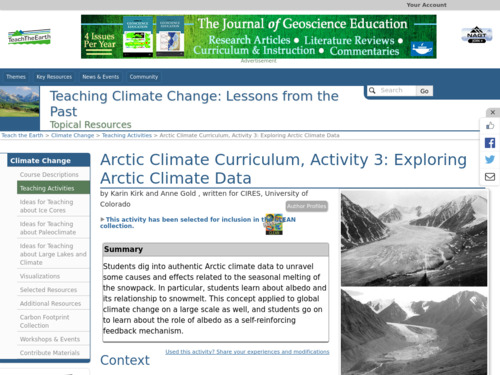 In this activity, students use the GLOBE Student Data Archive and visualizations to explore changes in regional and seasonal temperature patterns. 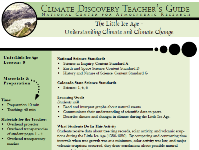 This is a classroom activity about the forcing mechanisms for the most recent cold period: the Little Ice Age (1350-1850). 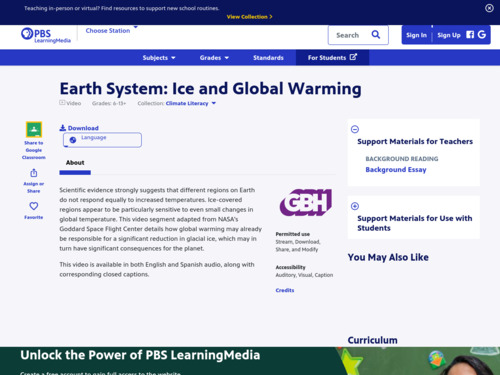 Students receive data about tree ring records, solar activity, and volcanic eruptions during this time period. 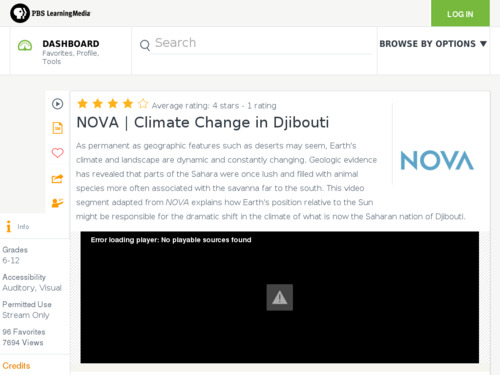 By comparing and contrasting time intervals when tree growth was at a minimum, solar activity was low, and major volcanic eruptions occurred, they draw conclusions about possible natural causes of climate change and identify factors that may indicate climate change. 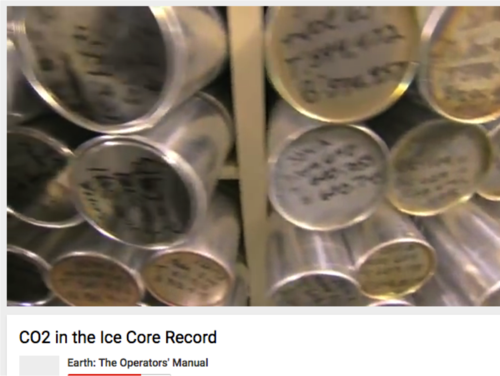 This video segment, from the 'Earth: The Operators' Manual' featuring climate expert Richard Alley, shows how ice cores stored at the National Ice Core Lab provide evidence that ancient ice contains records of Earth's past climate - specifically carbon dioxide and temperature. 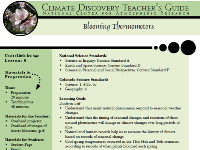 In this activity, students develop an understanding of the relationship between natural phenomena, weather, and climate change: the study known as phenology. In addition, they learn how cultural events are tied to the timing of seasonal events. 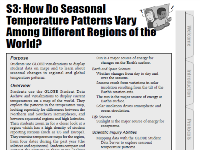 Students brainstorm annual natural phenomena that are tied to seasonal weather changes. Next, they receive information regarding the Japanese springtime festival of Hanami, celebrating the appearance of cherry blossoms. Students plot and interpret average bloom date data from over the past 1100 years.